As a hard-working product, LIGNIA Yacht has been endorsed by one of the world’s biggest manufacturers of yacht decks, who works with it because it matches, and in some categories, exceeds the performance of Burmese teak. Unlike Burmese teak the supply of LIGNIA Yacht is entirely sustainable, legal and long-term and it delivers peace of mind for yacht builders and owners alike; with our product on a yacht legitimate environmental concerns regarding tropical rainforest deforestation are never an issue, which has got to be great news for the yacht industry and for the planet. We source FSC Clear Grade Radiata Pine from sustainably-managed plantations. Through rigid grading standards we ensure our product has been carefully selected from slow-grown large diameter logs, which are then cut to produce quarter sawn material. 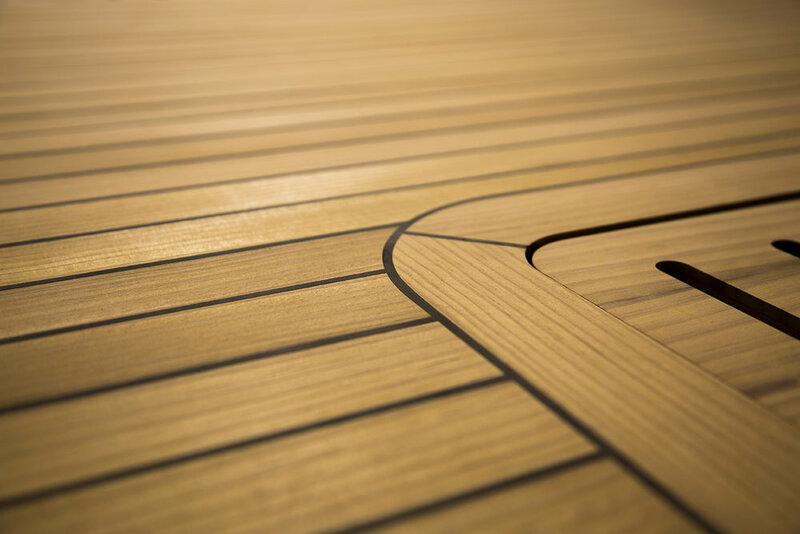 Manufactured through a unique and patent-pending process, LIGNIA Yacht is a high-performance modified timber which is delivered to you defect-free. The timber’s properties are enhanced to include greater durability against rot, stability, density and hardness and what’s more, has a rich golden- brown colour that resembles teak. LIGNIA Yacht has undergone extensive testing through established and accredited test facilities in the UK, France, Germany and the USA, proving the product is a real wood alternative that has the endurance, beauty and flexibility to replace Burmese teak in yacht deck applications. LIGNIA Yacht weighs no more than Burmese teak and this makes it an even more attractive and practical proposition for yacht builders and deck manufacturers. The LIGNIA Yacht brochure, Safety Data and Key Properties booklet can be downloaded here.